It has been a hot topic on Facebook, Twitter and in Star Wars forums about the R2-D2 6" Black Series not looking as most of us hoped and thought it would so Mark took some high res images we had from the prototype and the actual production piece. None of us thought we would get the super detailed hand painted one we saw at Toy Fair (on the left), but for a suggested MSRP of $25 a figure, I think most of us were hoping for something better. Sure lighting and the angle of the shot all play a role, but this looks vastly different in so many ways. I also read a complaint about the new 6" Luke Skywalker figure (I believe it was Paul over at JTA). He said that Hasbro painted on the skin color, as opposed to using a plastic cast in caucasian flesh color. Not sure how this will affect the aesthetics of the figure. But given all this early criticism, I have a bad feeling for the overall health of the 6" line. Too early to tell, of course. I am not sure how I feel about these... I know I initially said I would acquire only that in which I truly like, but I do not want a 6" figure wit the detail of 3/34 figure. Maybe Hasbro shot themselves in the foot making there 3 3/4 soo damn good. I was certainly expecting more detail, since there more size/ larger surface area. I want Luke but only when he is equipped with all of his accessories like in the second picture KitFisto posted. When I see the first picture I am just not that impressed. You would think the likeness would be easier to attain on the larger scale! I will not pre-order these but if see them in stores and I like what I see, I will certainly scoop them up! 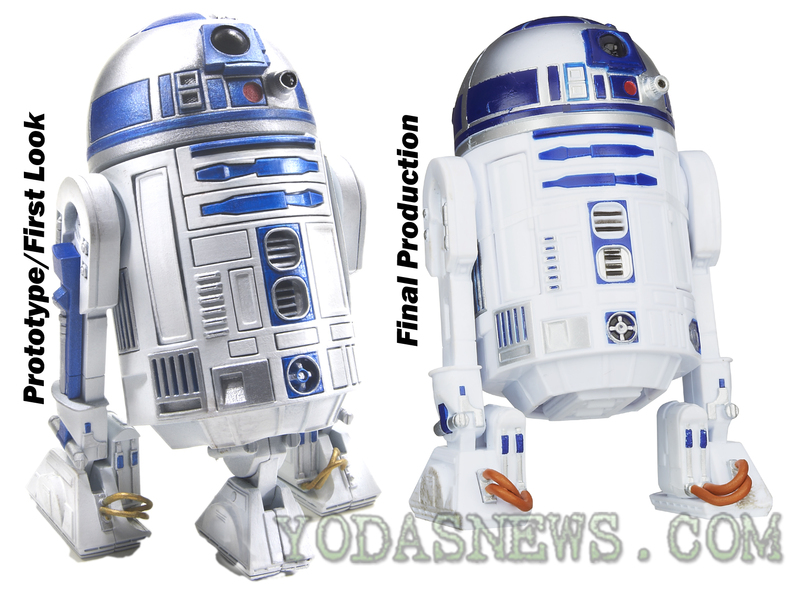 I like the idea of displaying Luke "fully equipped" beside R2. I sure can talk myself into anything... I believe the term is "special pleading"
I was on the fence before with regard to this 6" line, but after seeing these new pics, I am fully in the game now. That Darth Maul is a must-have for me. The face sculpt is astounding, and the range of articulation is fantastic. Just look at those double-jointed knees! Cannot wait to find this one at retail, as well as the new Luke.